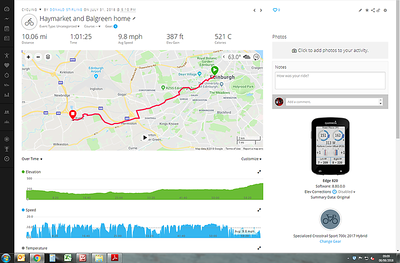 Polmont and back to my parents house. 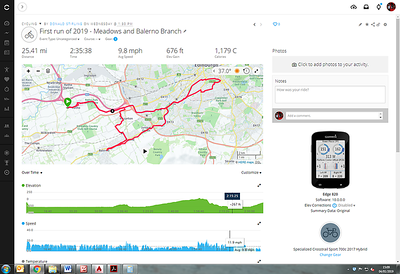 Sunday 6th January 2019 - bad planning leaving Hermiston Road uphill to the end! 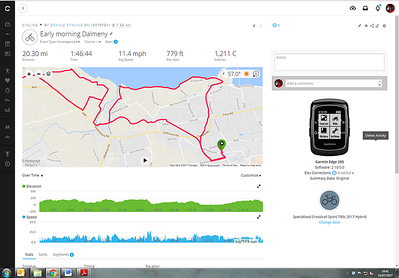 28th December 2018 - clearing the head after a grand night out. Wednesday 2nd January 2019 - nothing too challenging to get back into the groove. 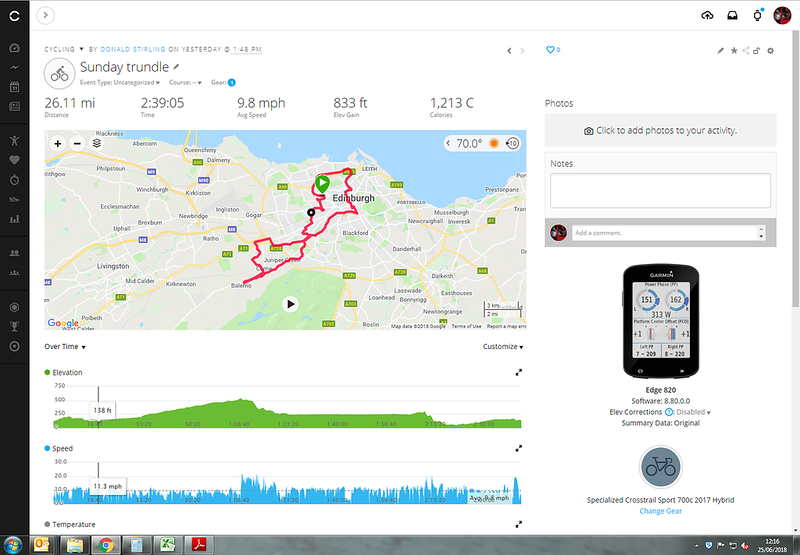 12th May 2018 - getting back into the swing of things. 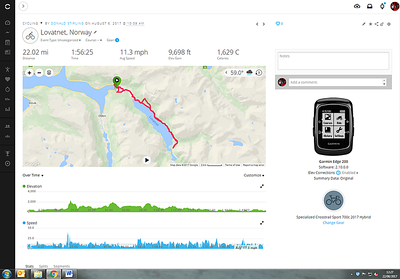 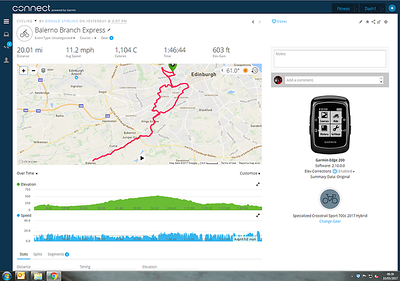 Distance excludes half of the Innocent Railway tunnel as the Garmin stopped recording. 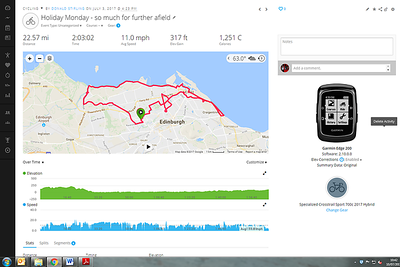 24th September 2017 - local to ensure I was back for my soup! 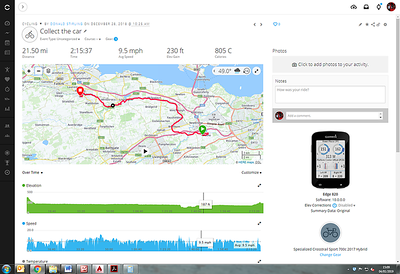 Sunday 29th October. 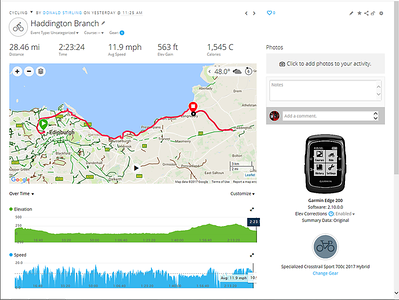 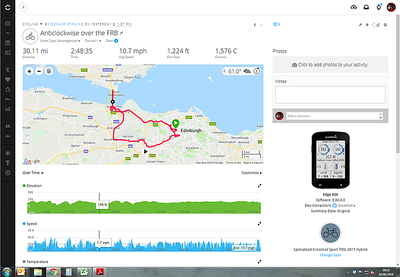 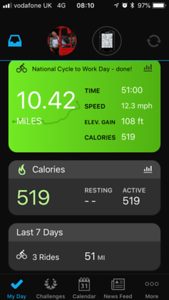 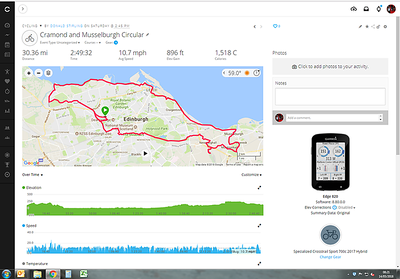 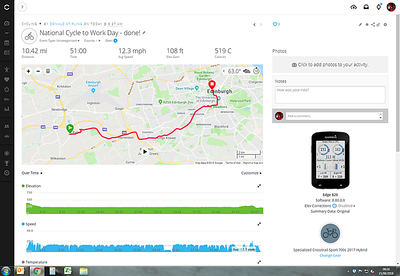 The branch is quite steep from a standing start at Longniddry when your legs are already tired - that's what happens when you don't get a cycle for three weeks and insist on trying to get 30 miles, which I did by adding 2.5 miles back from Haymarket. 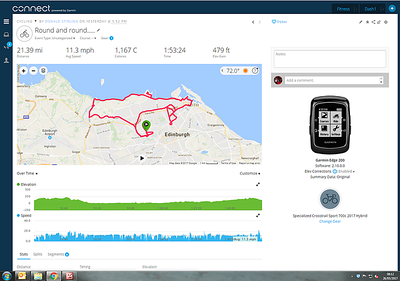 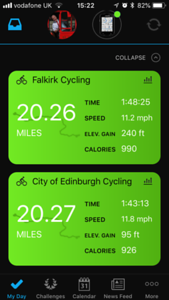 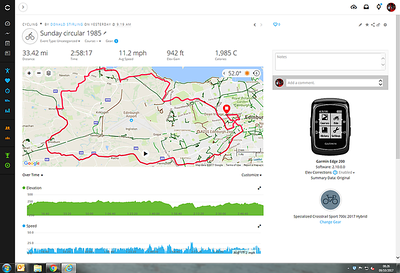 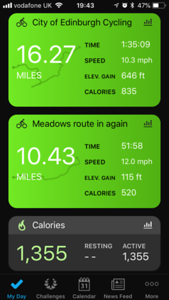 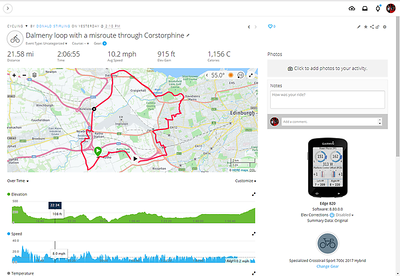 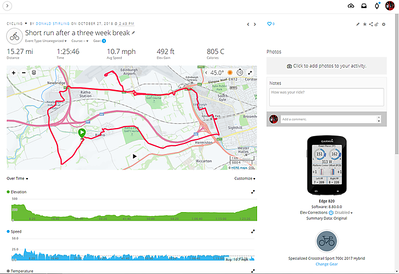 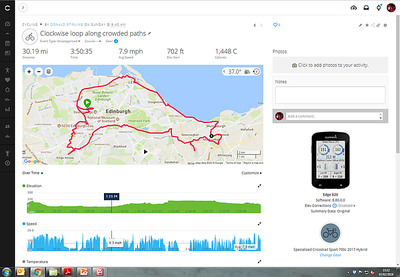 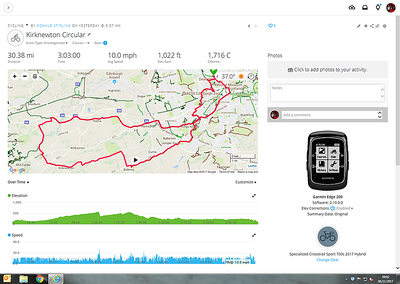 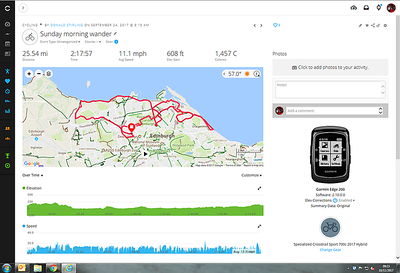 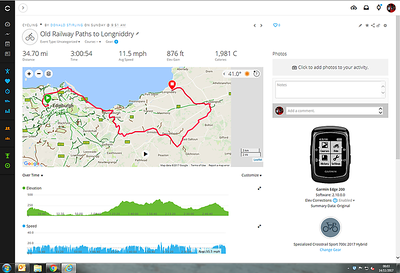 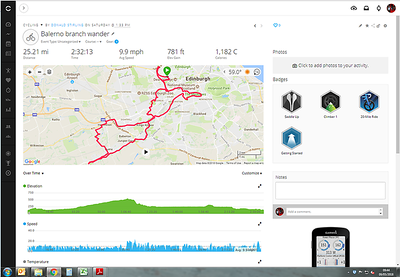 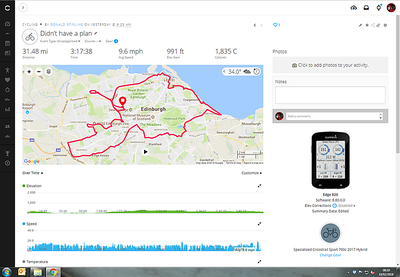 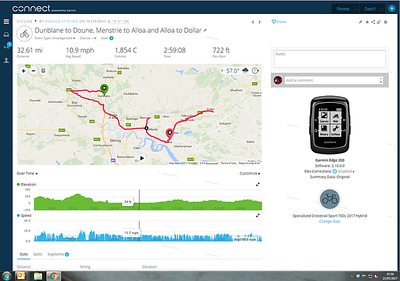 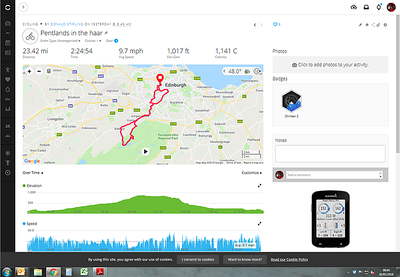 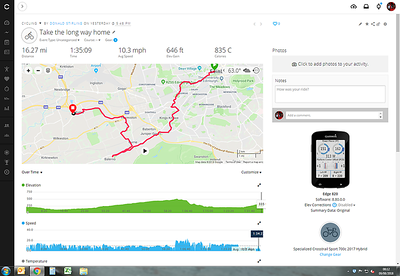 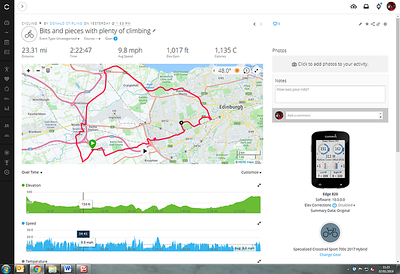 Clockwise circular with a Dalmeny House detour - how close was I to 2000 calories? 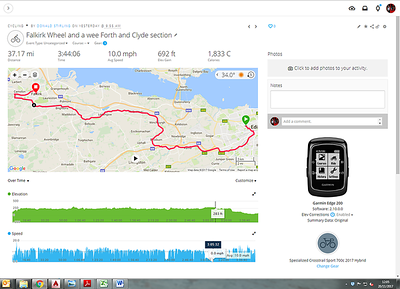 Fife Coastal Path - enjoyed most of it but there are a few bits which are less suitable for cyclists. 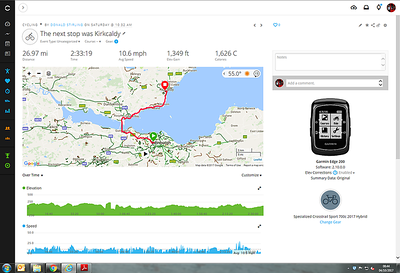 Don't think I will be repeating it. 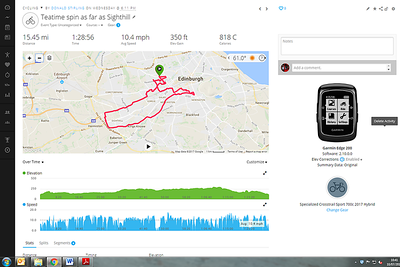 25th May 2017 - girls both out so just a run out. 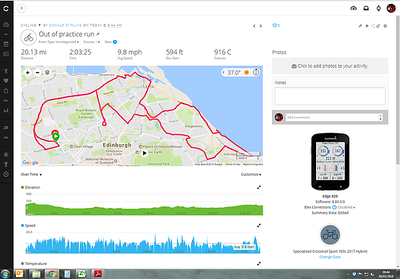 Managed to bag 279 on a 19 at Granton Square and a new Troms vessel into the bargain. 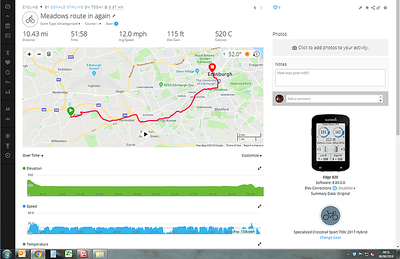 Local holiday Monday picks up Dunblane to Doune and then after an expensive stop to buy a lighweight rain jacket at Causewayhead, Menstrie to Alloa and then Alloa to Dollar giving three sections of closed railway. 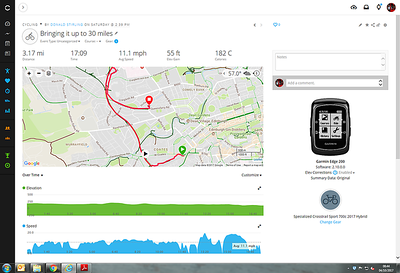 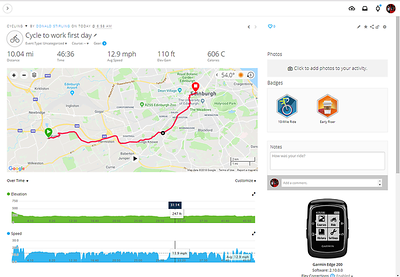 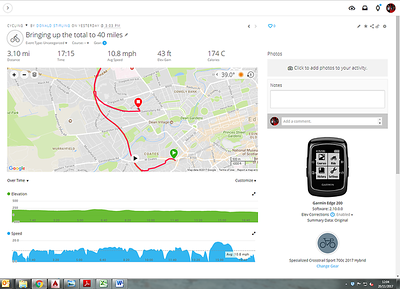 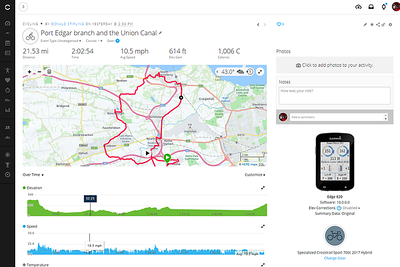 Alloa to Dollar is pretty gradient prone..
9th May 2017 - run up the Water of Leith Walkway and back - earned the beer and curry tea...! 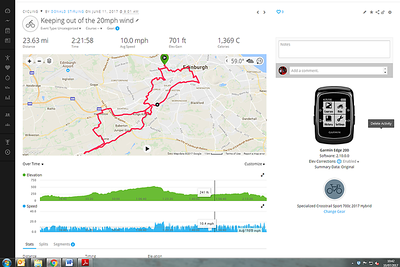 6th May 2017 - wind at my back most of the way. 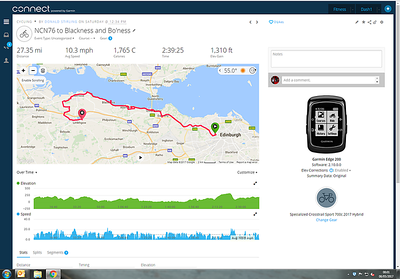 The bit over the hill to Linlithgow from Bo'ness was a toil.